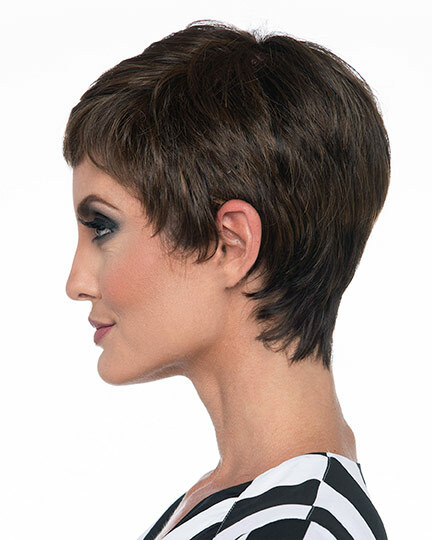 Front: 2.0", Crown: 4.0", Side: 2.0", Nape: 2.0"
Fiona by Envy is a perfectly cropped pixie with short fringe and a tapered back. 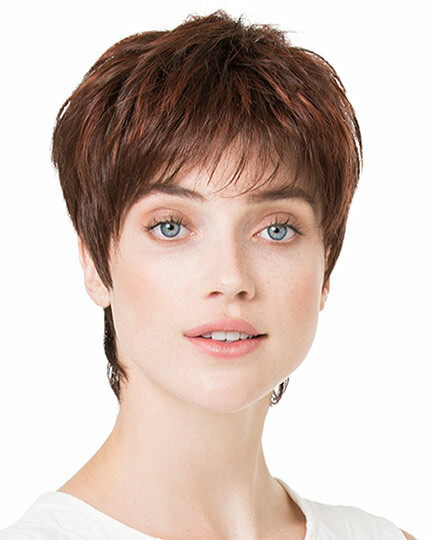 The Envy wig, Fiona, features a unique blend of 70% heat friendly fiber and 30% human hair that looks, feels, moves, and styles just like natural hair. 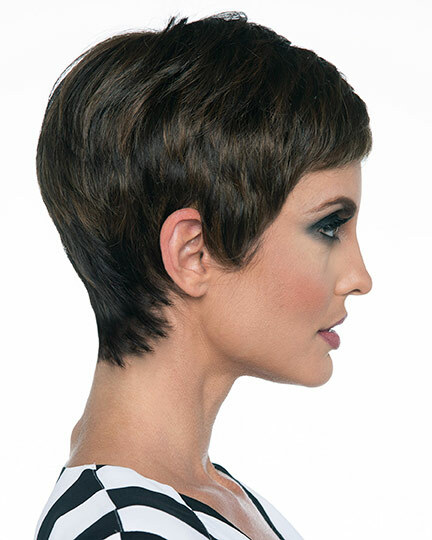 You can heat set Fiona, curl, straighten, brush and comb it to create your own stylish look. Fiona can be heat styled up to 356F. 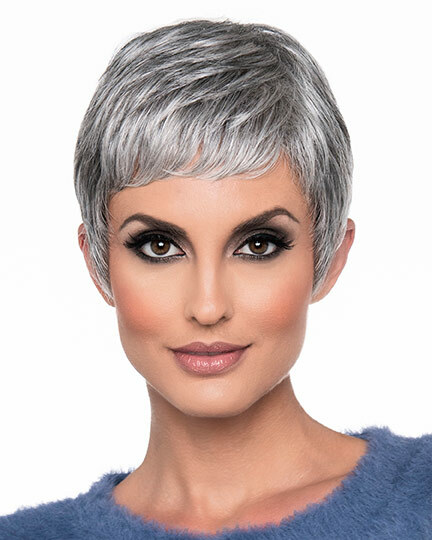 Envy Fiona wigs offer a lightweight, capless construction with a hand tied monofilament crown and lace front, along with the softest, lightest, head-hugging cap material. 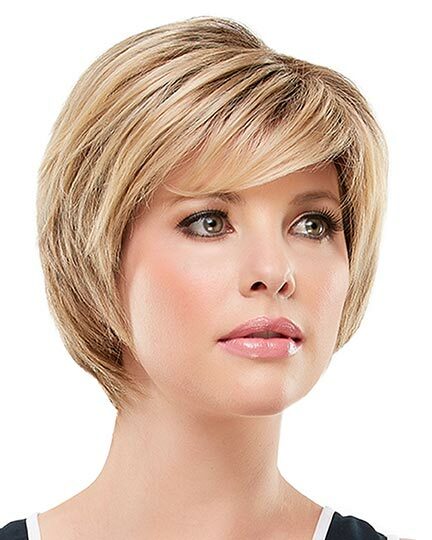 The result is a cool, comfortable cap fit for even the most sensitive of scalps. 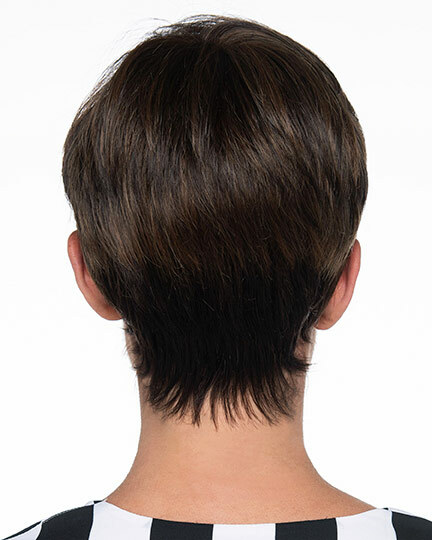 The second color way shown for Fiona is Medium Brown. 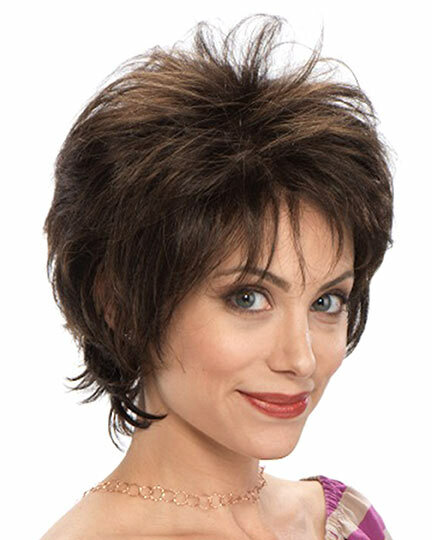 The Fiona wig weighs 65 grams. There are 26 colors available for Fiona. To Buy Fiona, Click On A Small Swatch Below. 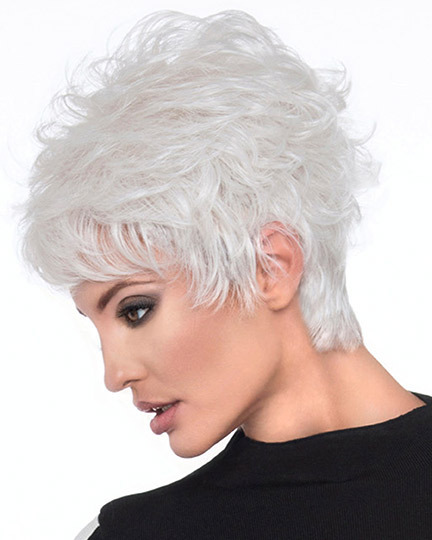 If you would like to discover other products that share some of Fiona's qualities try the links below.